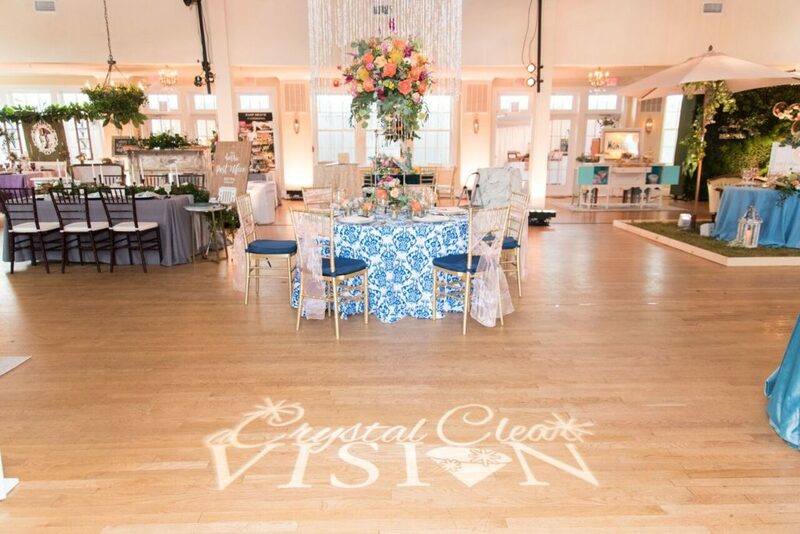 We are officially four days away from our biggest event of the year, A Crystal Clear Vision 2019 at the Woman’s Club of Portsmouth! From 12PM-4PM on Sunday, February 10th, the BEST wedding vendors for the Hampton Roads region will all come together to showcase the BEST of their BEST! You don’t want to miss out! Last week, we highlighted the ultimate Crystal Clear prize for purchasing VIP tickets (aka a COMPLETE wedding giveaway) to Sunday’s event. So for this week on Waterford Wednesday, we want to showcase just how awesome this Sunday is going to be! The vendors, the prizes, the ideas…the list simply goes on and on. Let’s first acknowledge the fact that this event is literally like a “Pinterester’s” dream come true! All of the latest trends with linen, food, lighting, planning, and design will be brought to life for Sunday’s biggest event of the year! Simply Southern Photography, Leigh Skaggs Photography, Katie Nesbitt Photography, Jessica Ryan Photography, Dragon Photo Studio, Kirstyn Marie Photography, Caitlin Gerres Photography, Will Hawkins Photography, Cenzalli Captured Photography, Intellect Media, View It Do It, and Eyecaptures Photography. Traditions Catering and Events, Chef by Design Catering Company, Catering Concepts, Cuisine and Company, The Twisted Fork, East Beach Catering, Sweetwater Cuisine, Montero’s Restaurant (Bar and Catering), and Hummingbird Macarons and Desserts. Mad Hatter Vintage Rentals, Rusty Cottage Vintage Rentals & Styling, Paper Dolls Design, Blue Steel Lighting and Design, Express Valet, Big Top Entertainment, Music Makes You Happy, Snapqube, AllStar Photobooth LLC, Kara Anne & Co., A Lively Affair, Touche’ Weddings & Events LLC, Vivid Expressions LLC, Fluttering Flowers, Isha Foss Design, Astro Entertainment, And I Love Her Violins, Silk Bridal Studio, Blushtones, Mystique Salon and Skin Spa, Darling & Dapper, and Milk & Honey Bride. The Cavalier Hotel, The Signature at West Neck, The Historic Post Office, Hilton Virginia Beach Oceanfront, Woman’s Club of Portsmouth, Portsmouth Service League, and The Oyster Farm. Carolyn Celeste Weddings, Inspired Events by Kelly, Soirees By Lauren, and Antonia Christianson Events. So, as you can see, this Sunday is going to be quite spectacular, to say the least! We are so excited for you to meet this area’s top event professionals and help be apart in making your wedding a reality without all of the stress! Make sure you pick up your VIP tickets today before we sell out and use this special discount code CRYSTALCLEAR for a $5 off now! Must Ask Questions for Your Wedding. Though it may seem a small detail, the linens you choose for your wedding make a huge difference on your big day. 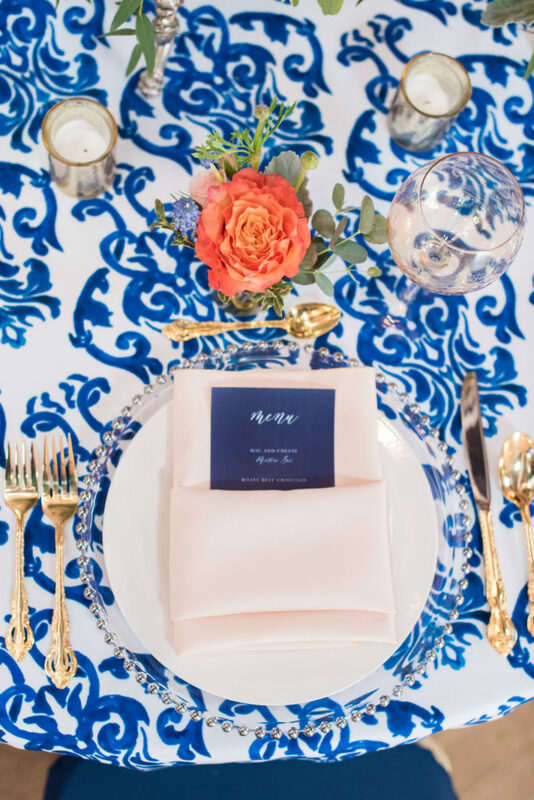 Though many venues offer linens as part of their services, there are several important questions you must ask before agreeing to use their linens. 1) Are the linens included in the venue rental rate? 2) What are the size and shape of the tablecloths, and the tables? 3) What colors are available? 4) Are napkins included? If so, what size and colors? 5) What type of chairs and chair covers are offered? After asking these questions, you should also ask to see the linens. Some beautiful venues offer only simple cotton table squares, which will be of nice quality but unequal to elegance of the room. For venues which provide linens or whose linens are inadequate for your needs,Waterford Event Rentals provides the best options! With an extensive array of table cloths, overlays, runners and more, at an affordable price, Waterford Event Rentals will add splendor to your event! Call us for an appointment! 757.448.5999! 2. What size are your tables: most 60″ rounds or 72″ rounds. This will be vital information if you decide to pick out rentals…especially how many you need. 3. Check to see if the linens go to the ground. This is just a matter of preference.Waterford Event Rentals likes to provide floor length linens so you don’t see all the metal bars under the table. 4. How are the chairs? Remember there are more chairs than anything else in the room. Covering the chairs makes a HUGE difference. So you look at a few venues and you are undecided. One major aspect to think about when choosing a venue is your colors. 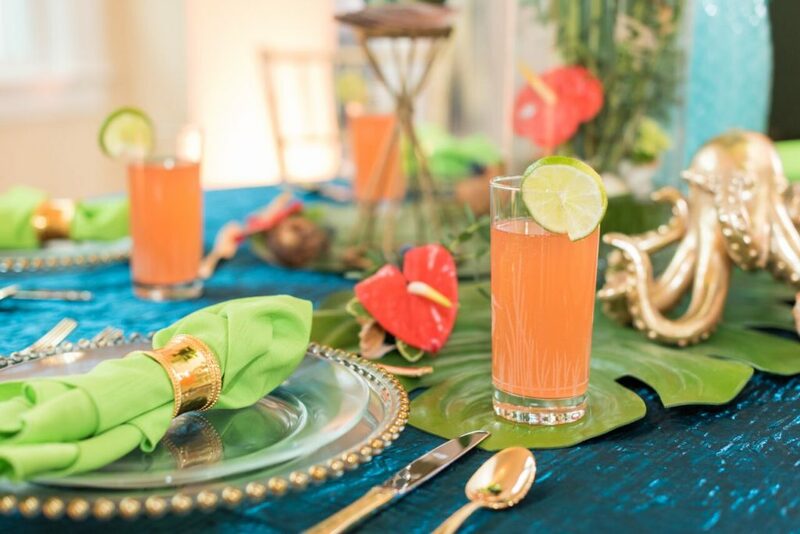 If you are dead set on hot pink, you want to make sure your venue compliments that color. For example, at First Landing State Park, you may want to choose earth tones such as green or chocolate. So many brides make the mistake of choosing their colors first. 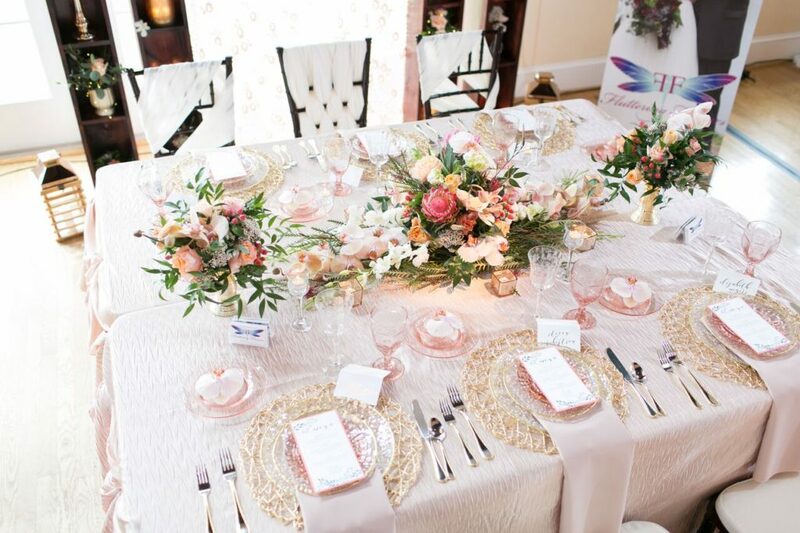 Take your time making the decor decisions….focus on the venue first…afterwards you can pick out all the fun accents. After you have your venue and you have asked all the major questions, you may have decided that you want to budget in some rentals. WER provides high quality linens at inexpensive prices. Don’t assume you can’t afford rentals. For example, our sashes start at just $.50, our chair covers are $1.80, and a table runner is only $5.25. WER has 3 types of fabric: Organza, Satin, and Pintuck. Don’t be afraid to mix and match your linens and colors. Not everything has to match exactly. For example, it’s fun to mix textures such as a pintuck overlay with a satin chair sash. Also you can mix shades of colors. If your main color is purple you could do lavender overlays with eggplant sashes versus everything eggplant or everything lavender. Once your colors are picked, be sure to ask your rental company what is included. You don’t want to get stuck with a contract and later find out that the delivery or setup costs are outrageous. One item included with WER is unique sash tie options. We have over 13 options. Who wants their wedding to be just like th rest? One way to set yourself apart is to do something a little different with your chair tie. Check out the pictures below from the Watermans Open House!! Thanks EyeCaptures Photography! !